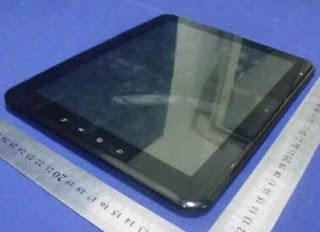 MSI preparing new Android 2.3 tablets at a cheap price with the FCC filing on Friday. 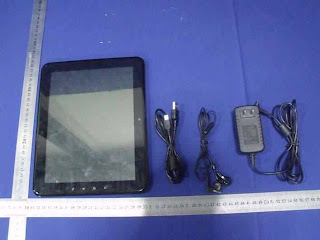 Tablet MSI is named WindPad Enjoy 10 and MS-N0Y1 labeled in the manual, is that Android has a tablet-sized 10-inch screen with 480x800px resolution and the ARM Cortex-A8 processor to 1GHz. Tablets Windpad Enjoy these 10 will have 512MB of RAM memory and 4 GB of internal storage, and rely on the SD card slot for adding storage capacity. And MSI Enjoy these 10 equipped with Wi-Fi and Bluetooth to provide a wireless connection and has a USB port. Resistance of the batteries is estimated to about 5 hours for video playback or web browsing. Although the specification is not advanced the good news is that this tablet can support playback of 1080p HD video in various formats including MP4, Xvid, DivX, and H.264. Very little is known about when MSI Enjoy 10 will be marketed to the U.S. and Indonesia as well as MSI Enjoy 10 price is still unknown. Simple specifications on these tablets may make the price of this tablet can be under $ 300.